Every biological or non-biological thing has a unique energy signature that vibrates at certain frequencies. A frequency is simply the number of times a wave repeats itself within a second, called an oscillation. 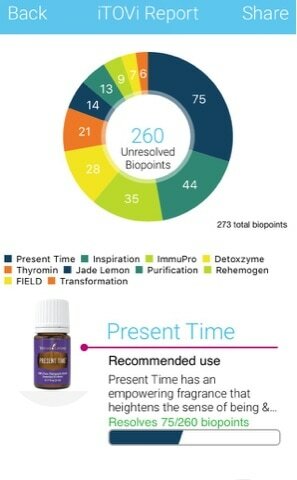 iTOVi has measured and recorded each unique frequency as it relates to bio points and the vitamins, minerals and oils of each product company. Through the electrodes on the iTOVi scanner, these frequencies are sent to the body, inducing a measurable response from the body. During the scan there are 273 bio points that are introduced to the body. iTOVi passes small electrical currents through the skin to measure the skins resistance. These unique frequencies are sent to the body through the iTOVi scanner. Each bio point and supplement has a natural energy frequency, which is easily recognized by the body. The passing of frequencies then induces a measurable response from the body. Bio impedance relies on the body’s autonomic nervous system in order to elicit reactions. The autonomic nervous system is the body’s central command system, connected to every other part of the body and can, therefore, be relied upon to give us reactionary results. There are lots of ways to measure those results (i.e. blood pressure, blood flow, skin or body temperature, breathing patterns, eye dilation, sweat glands/skin moisture, etc.) One particular way to measure the reaction is the tissue will become more or less resistant to electrical current flow. Changes in temperature can also help us understand how the body reacted. During an iTOVi scan hundreds of frequencies are sent to the body, one at a time. The body has a unique reaction to each of these frequencies. As the body reacts to the electrical current flow, iTOVi measures these reactions. As the iTOVi scan runs, your body will naturally react to these foreign frequencies and the scanner will record these changes, identifying them as unresolved bio points. Bio points are simply parts of the body, such as organs, vertebrae, or other biological systems. If a recorded frequency falls outside a predetermined range, it is classified as “unresolved”. Please note, a high number of unresolved biopoints is not an indication of poor health. As the scan ends, the number of unresolved bio points are recorded, analyzed, and compiled into a personalized iTOVi report. Based on the information gathered during each session, the iTOVi App will recommend the oils or supplements to which your body had the best reactionary response. These recommendations are presented in your report, ordering each product by the number of unresolved bio points. Using the recommended oil or supplement will then help reduce that frequency to fall within that particular range, bringing your body and its frequencies back to its optimal state. ​Some iTOVi customers like to incorporate a different oil each day, or an “oil of the day”. Users that do this may choose to scan more frequently to learn which oils are most beneficial at that specific time. iTOVi suggests individuals that fall under this category scan every 3-4 days. However, also iTOVi suggests that users incorporate the product recommendations for a longer period to see maximum benefits. iTOVi measures the reactionary portion of the body, which changes at surprisingly quick speeds. Once the pattern from the scan is captured, the scanner makes intelligent, and personalized, product recommendations. If you run a repeat scan within a short period of time, the technology takes into account your previous scans and recommendations. This is very important. As the scanner gathers more information about your body’s responses, the more intuitive the results become. Over time, past information influences the scan less and less, allowing the recommendations to be impacted by your current needs.